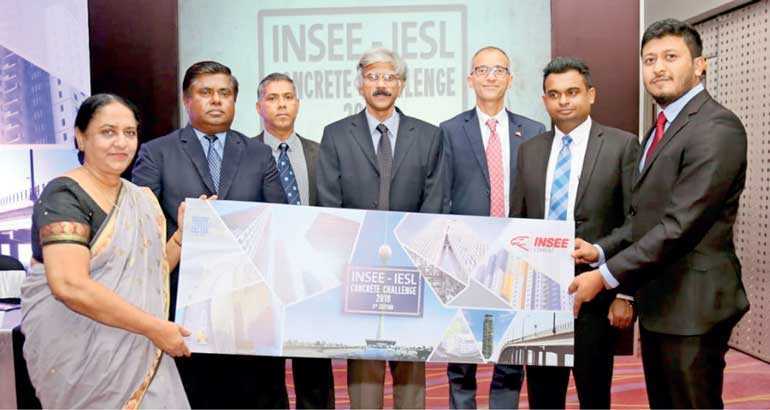 INSEE Cement, Sri Lanka’s foremost cement manufacturer together with Sri Lanka’s premier Engineering professional body, the Institution of Engineers Sri Lanka (IESL) has announced the launch of the INSEE-IESL Concrete Challenge 2018. This program champions the company’s vision of building brighter futures across Sri Lanka through the investment and endorsement of knowledge dissemination and experiential, innovation-based learning. In this fifth edition of the competition, final year Civil Engineering students of the state engineering universities of Moratuwa, Peradeniya, Ruhuna, Jaffna, South Eastern and the Open University of Sri Lanka will go head-to-head in the challenge. The judging criteria will align with this year’s competition theme –‘Self Compacting Concrete for Sustainable Construction’ with INSEE Extra. Three five-member teams from each university will be chosen by internal competitions conducted by the IESL Chapters, and will be eligible to contend in the final competition. The competition will last for a total of three months, with the winners announced at TECHNO Sri Lanka 2018, the flagship event of the IESL and the largest and only engineering and technology exhibition held in Sri Lanka. The INSEE-IESL Concrete Challenge aligns with the overarching theme of this year’s exhibition, ‘Engineering the Green Future’. In keeping pace with global industry developments, INSEE Cement Sri Lanka addresses today’s demanding construction needs by producing innovative products and solutions, while at the same time encouraging innovation-based research and application among universities. 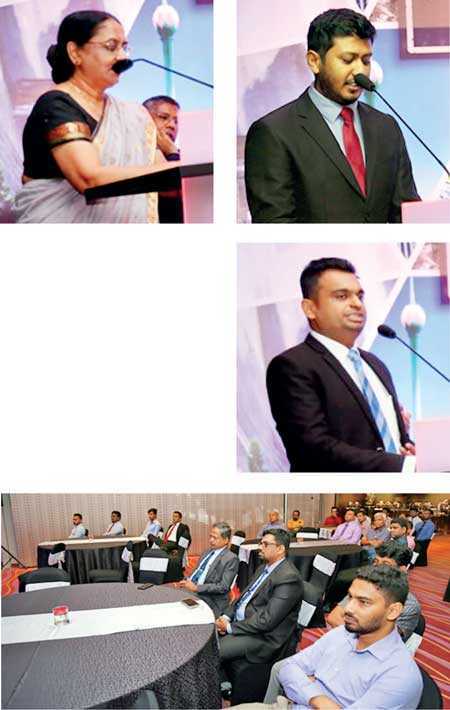 INEE plays a pivotal role in furthering innovation-related educational facilities available in Sri Lanka, having already signed milestone partnerships with Engineering Faculties of leading local universities to advance the country’s construction industry with game changing product development through sponsorships and funding of state-of-the-art research. A dedicated Innovation & Application (I&A) Centre driven by a highly skilled technical team realises paradigm-shifting ideas every day, proactively engaging with industry partners to ensure a holistic approach in building sustainable modern-day infrastructures. Focused research initiatives explored at the INSEE I&A Centre has resulted in the realisation of numerous pioneering efforts, such as the introduction of Sri Lanka’s first Portland Limestone Blended Cement – INSEE SANSTHA, the country’s first Fly Ash Blended Cement, the first Sulphate Resistant Cement certified by SLSI and the first Sulphate Resistant Low Heat cement certified by British Standards – INSEE EXTRA. Continuing this pioneering journey, INSEE Cement will soon introduce a slag-based blended cement for the first time to the Sri Lankan market. Highly demanded in global construction practices, slag-based cement has demonstrated long-term performance enhancements, allowing constructions to drastically reduce the Carbon footprint of concrete, while ensuring increased durability and improved performance in structures, in keeping with the company’s commitment to building a sustainable future. The top three teams are set to win exciting rewards, and will walk away with an endorsement by INSEE Cement and affirmed industry recognition.